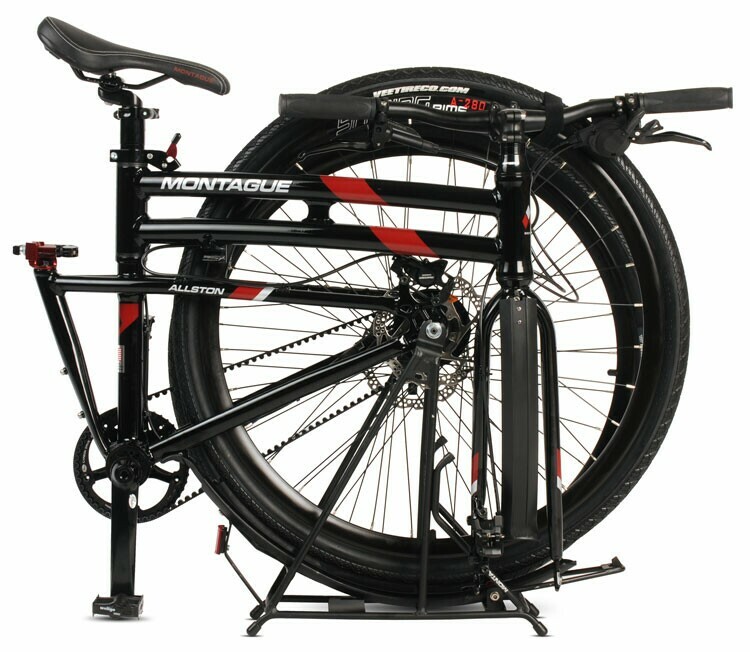 The Montague Allston is a no compromise ultimate folding commuter bike. 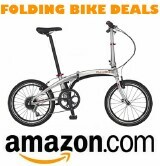 The bike features a 11-speed Shimano Alfine internal gear hub combined with a Gates carbon belt drive. 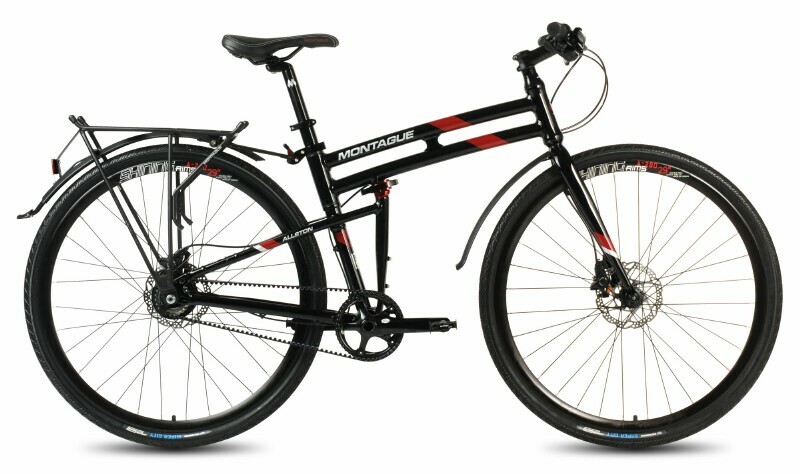 Rounding out the features are hydraulic disc brakes for superb stopping power, a RackStand offers cargo carrying capacity, and extra wide 38mm tires make for a comfortable on even the roughest roads.